Are Disney Tsum Tsum plushies taking over your life and you don't know what to do? Are you tired of them getting all dusty on shelves, taking up too much space or others always wanting to touch them because they are so cute and soft? 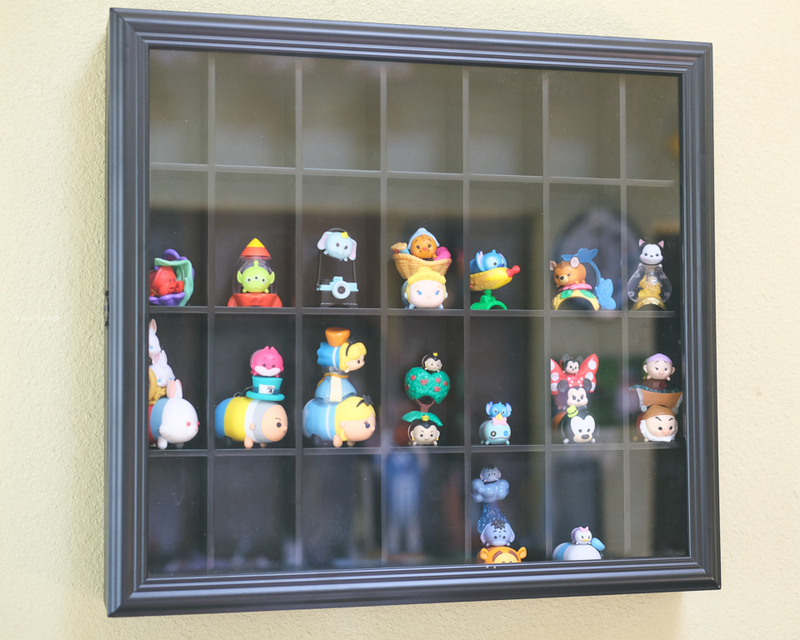 Not long ago my Tsum Tsum collection was rather small but I needed a way to store them. I had an idea on how I could store them but I found a solution for the plush Tsums which you can read more about here and also read about how I created storage for my plastic Tsums here. After about a year I realized current solution was no longer working for me and I needed a new idea. I hate to look at dust and clutter, but even more than that I hate to clean dust and clutter (I am actually not good at housekeeping on most days). I have two dogs and no matter how much I dust or vacuum there is always hair everywhere. 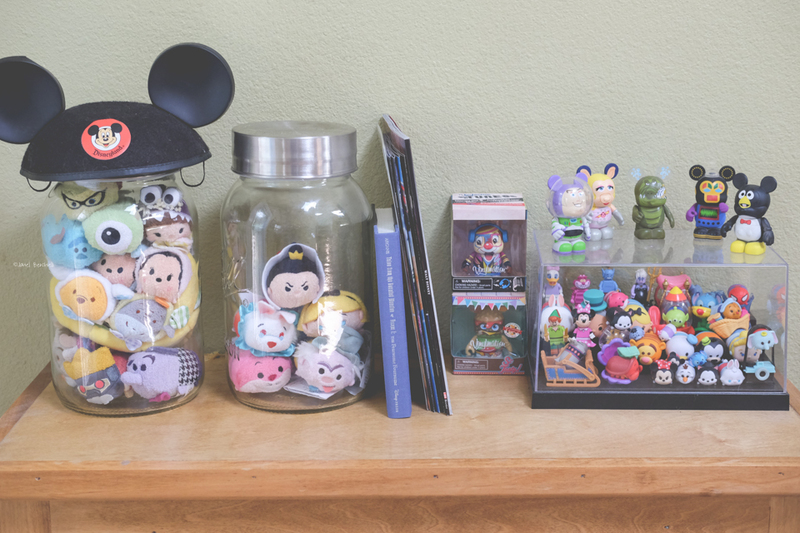 I am tired of looking at my messy space so I decided to reorganize my Disney Tsum Tsums and other trinkets. After browsing Pinterest for ideas I went shopping to Michael's (with a 50% off coupon) to get a 16 x 20 shadow box. The one I found unfortunately did not have a front opening but I am going to make this one work. 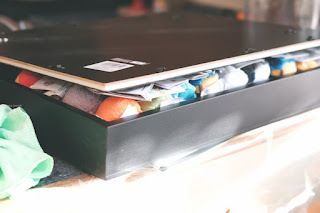 I laid out all my Tsums I decided to keep and put them in the box. Closing the back of the frame was quite challenging because the Tsums are actually fluffy and don't fit without squishing them. I had to literally sit and kneel on the back to get it to close enough for me to latch the tabs. I had to find another way to make closing it easier. I was concerned because even though there is plenty of room in the shadow box the back looked like it might burst. 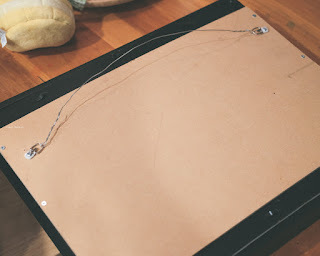 I had my handyman hubby make some alterations to the back of the frame with plywood to help keep the back panel in place. 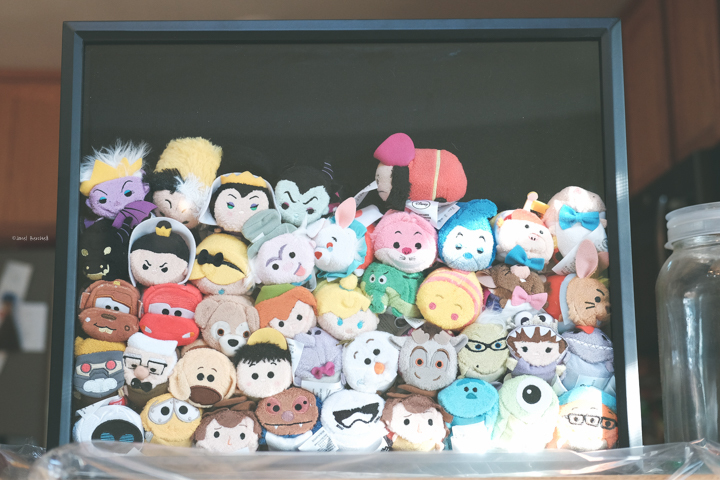 This allowed for more room so the Tsums didn't look so squished. We also attached a more sturdy wire with D rings to make it easier & safer to hang on the wall. 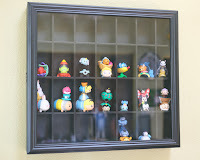 Overall, I feel this idea is a fantastic option to store and display your Tsum Tsums treasures. 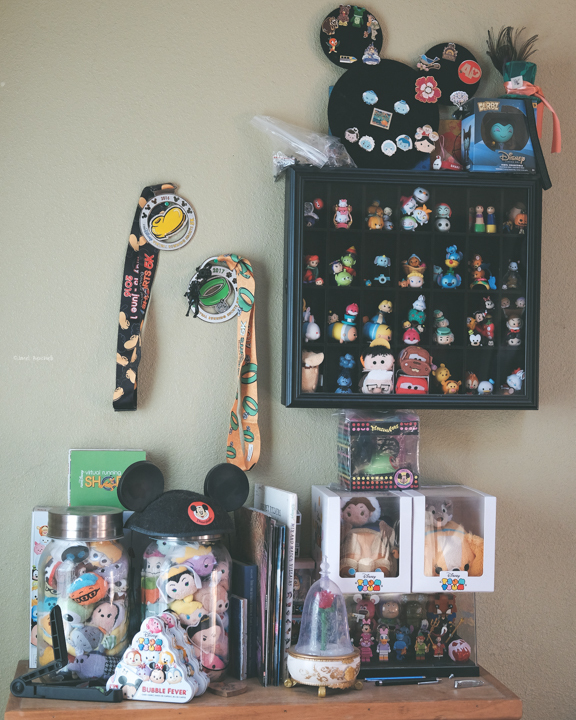 It is certainly a great idea to free up shelf space, have less dust and give any room a bit of Disney charm. 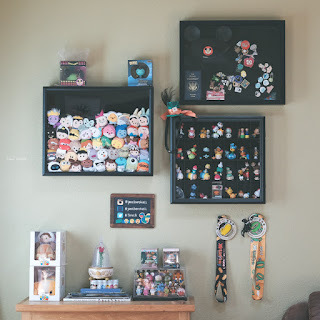 I also decided to use another shadow box to my wall for my Disney hat, trading pins and pressed penny passport with room to add more from my future travels.